Location, location, location. First time on the market since 1994! This FRONT condo is a must see and is especially attractive with no additional HOA fees attached. This condo has the open feel of an SFR with 2,147 sq feet of living space. As you enter, you are greeted to a cozy living area with gas fireplace and sliding door access to your own private fenced backyard. the curved corner beads, upstairs skylight with raised ceilings and the whole house speaker system provides for natural light and ambiance throughout. This home features a separate laundry area inside the home just before heading to the attached garage with hanging racks for additional storage. With a little TLC, this home could be updated and brought back to its original luster. Home does have some deferred maintenance which is reflected in the price and a few non-functioning appliances. This home has quite a bit of termite damage that may or may not be approved by the lender. 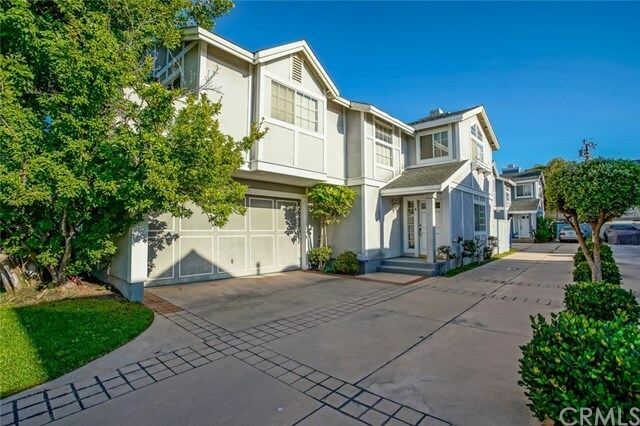 This home is one of the best-priced homes in the area and is within the Redondo Unified School District with Mira Costa High School having a 10 out of 10 Greatschools Rating. Won't last long! !